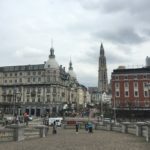 This is part 4 out of a 5-part series of my travel experiences in Belgium. 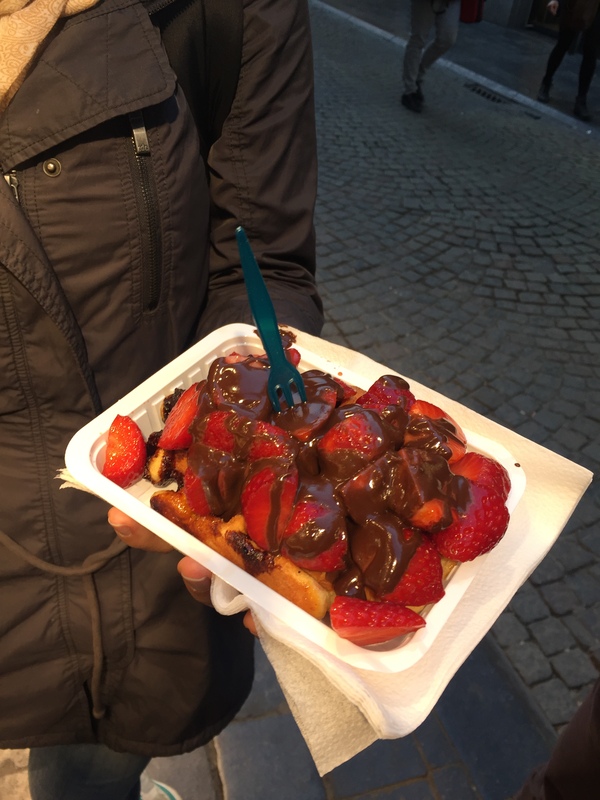 Here I share what I did in Brussels and Bruges, two of my favourite cities in Belgium. 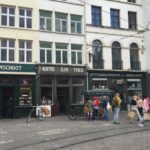 You may have heard from friends or other recommendations that there isn’t anything to do in Brussels, and that Bruges is a lovely city to visit – here I shall tell you more about these impressions that people have, and then it is up to you to think if there is anything to do in these cities! 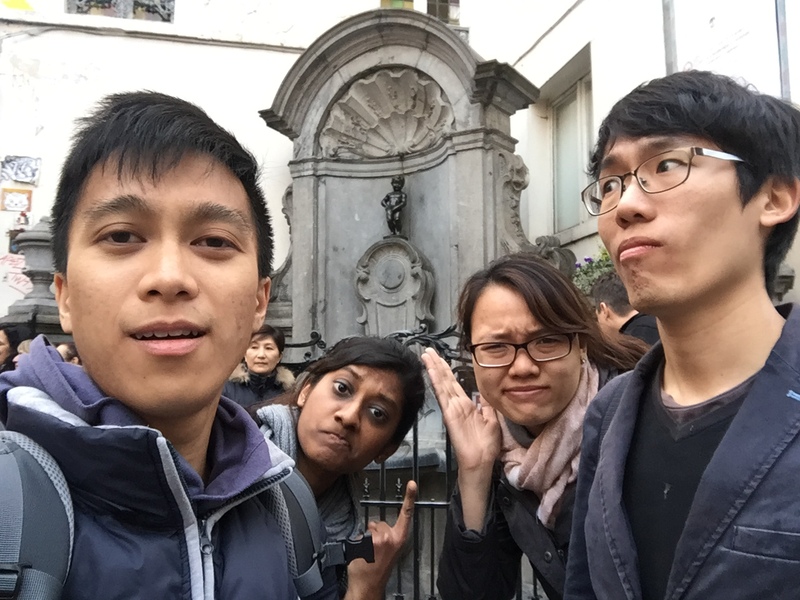 The moment my friends and I arrive in Brussels by bus, we went to visit the Manneken Pis. It is just a small, small bronze statue of a boy, two streets down city centre (marked by the Grand Place). Many tourists come here to take a photo with it. So did we. 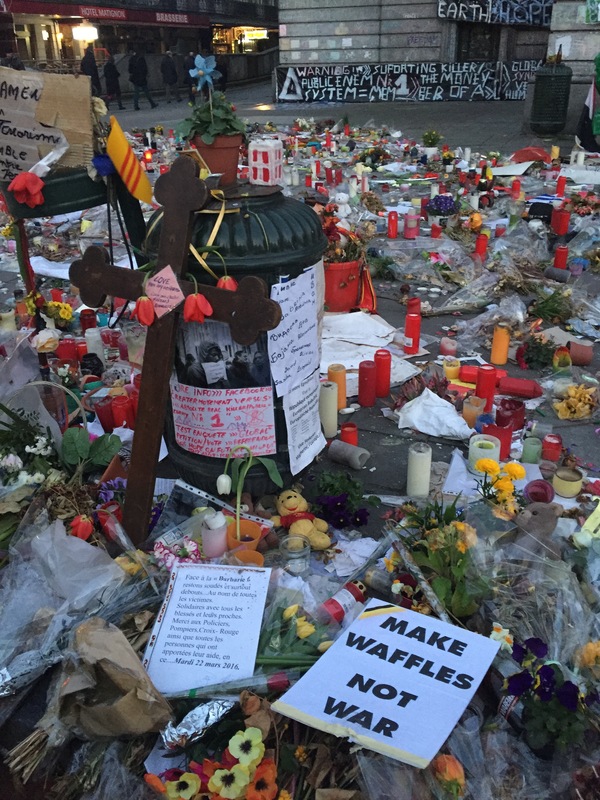 In the streets around the Manneken Pis, there are many waffle stores that claim to sell €1 waffles. Don’t be tempted!! The waffles may be €1, but those with toppings would cost a lot more. These waffles are not especially nice either. We knew that this couldn’t be €1, but didn’t expect it to cost €5.50! 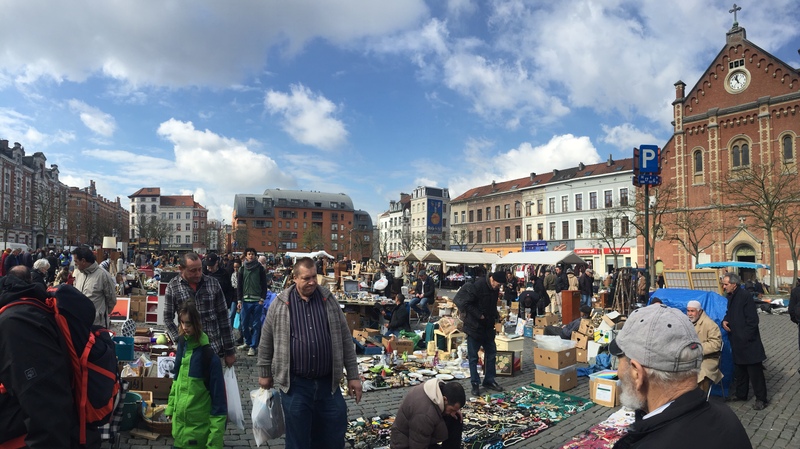 We visited a flea market the next morning at Jeu de Balle. Here you can find all sorts of things being sold – coats, hats, carpets, utensils, vintage cameras, toys, and so on. It was a good morning walk around here, to look at the things being sold. Many of which looked like they have a long history behind them! 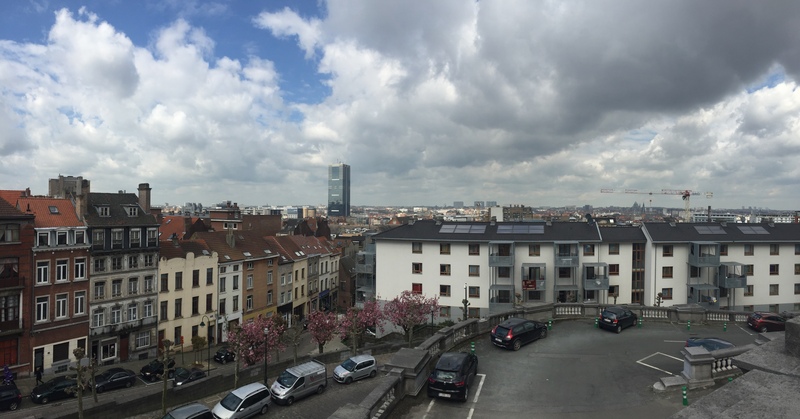 We then walked up the hill to the nearby Law Courts of Brussels where we got a good view of Brussels from the top. but.. there’s actually nothing much to see. We had coffee at the nearby Cafe Capitale and continued walking, passing through Brussels Park. 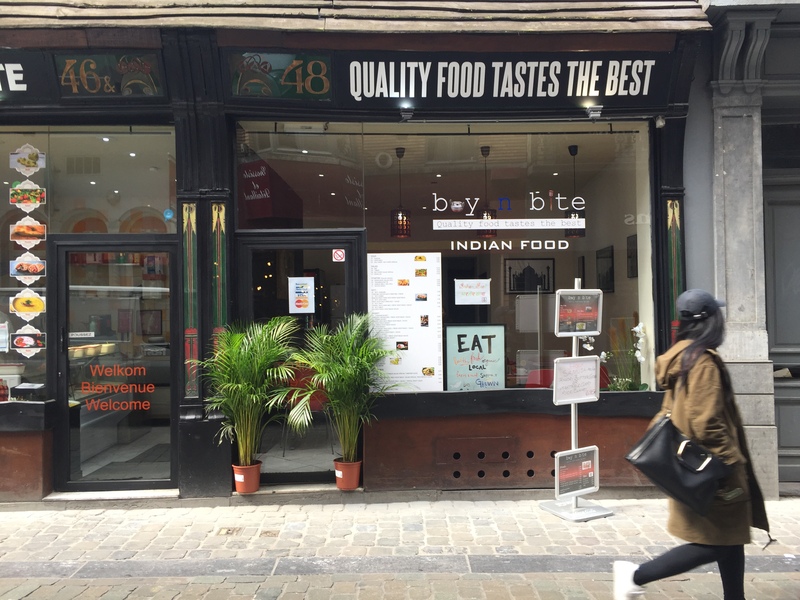 We had lunch in Buy N Bite, an affordable and authentic Indian food store, and was highly satisfied with our meal! 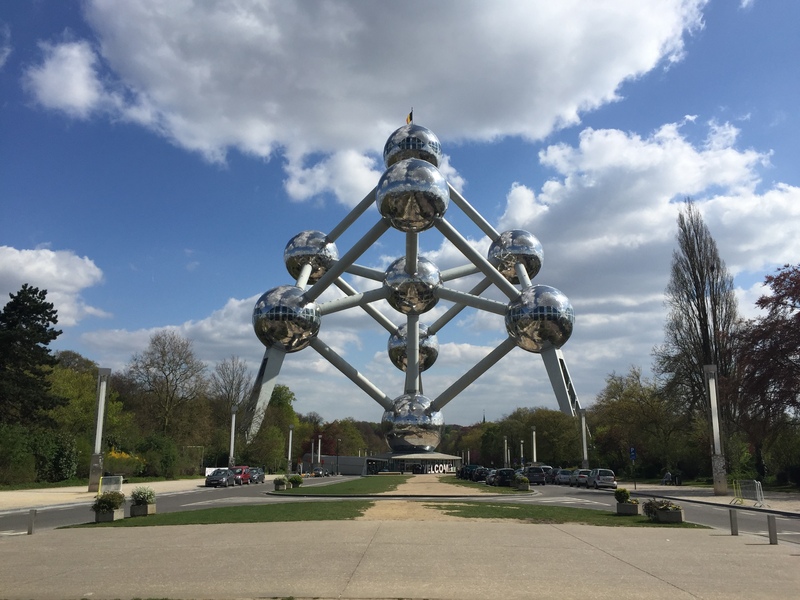 The Atomium is easily accessible via the metro, located outside the Heysel-Heisel station. We returned to the city centre for some snacks. First up, FRIES. My couchsurf host in Brussels highly recommended Fritland, and we were not disappointed. Next up, WAFFLES. I found somewhere online recommending Dandoy Maison, and we were also not disappointed! Finally a city in Belgium that serves both good fries and waffles. We were very satisfied indeed! Check out my previous post on Belgium’s food for more detailed account on Fritland and Dandoy Maison. 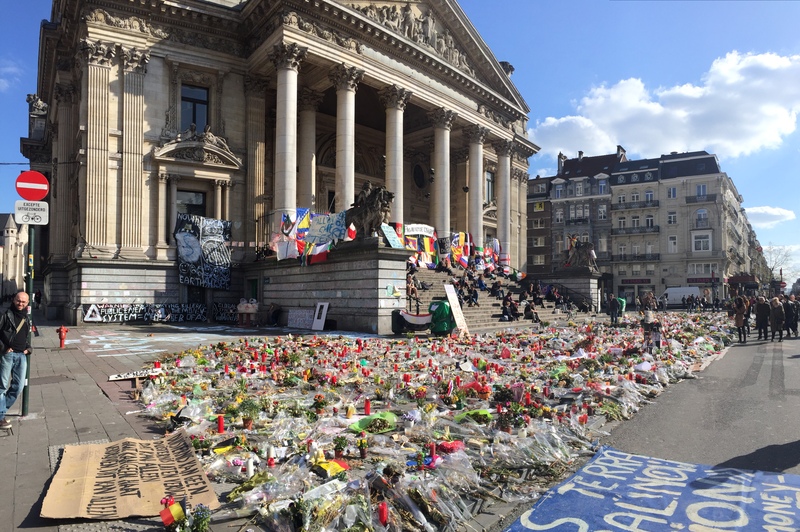 At Brussels’ Stock Exchange; over the weekend before we arrived in Brussels, the “March in Brussels Against Fear” took place. Because that’s what the terrorists want – fear, racism, terror. And that’s exactly what we should not give to them. Instead, let’s embrace love, unity, and peace. 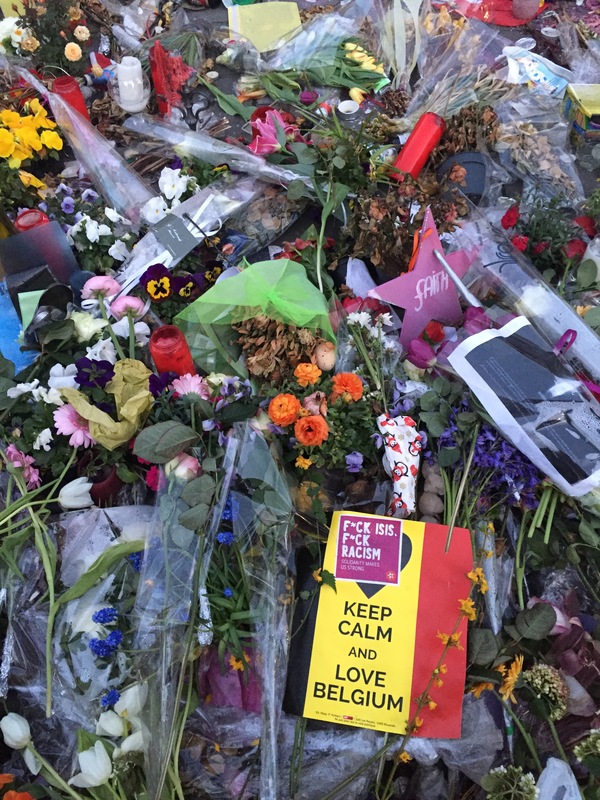 The “March Against Fear” took place just that weekend before my friends and I arrived in Brussels. As we are traveling around as tourists, it is also important for us, as citizens of the world, to be aware and concerned over important world issues. In this case, it is terrorism. My couchsurf host shared with me that on the day of the bombing, he happened to be working from home, 100 metres away from the train station. He couldn’t hear what was happening, but he could smell what was happening – the aftermath and rescue actions. In addition, he shared that tension between the races grew after this incident. It is an issue that has to be solved, if not Brussels is a breeding ground for further terrorism to take place. I wish for peace for Brussels, Belgium, and the world. Acts of terrorism cannot be condone, and we all have a part to play in maintaining peace and harmony. The last leg of my trip to Belgium was spent in Bruges, and it was a very nice city/town to be in. When we first arrived in the city at 830pm, the streets were already all quiet and deserted. I liked the feel of the place – serenity, quietness, and the cobbledstone streets. It feels like I’m back in Venice. 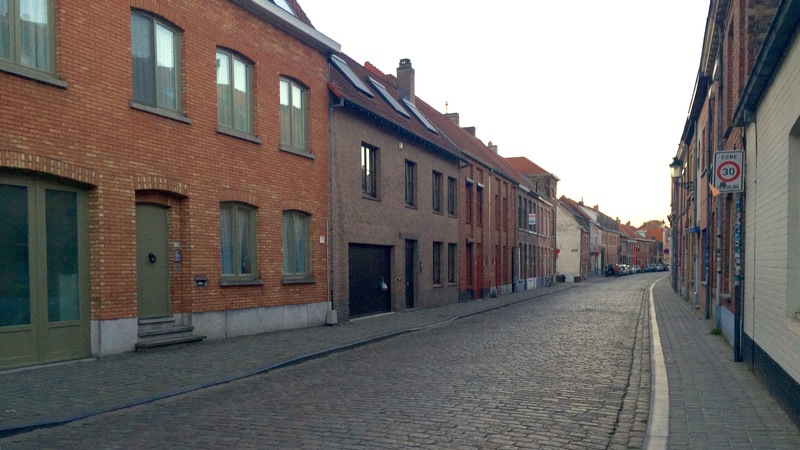 First impression of Bruges – deserted and quiet. When we arrived in our hostel, it feels like the streets were empty because everyone was chilling in the hostel! We were the last travelers to arrive in the hostel for the day, and were welcomed by the other travelers who have already settled in, drinking beer, and eating snacks at the bar. 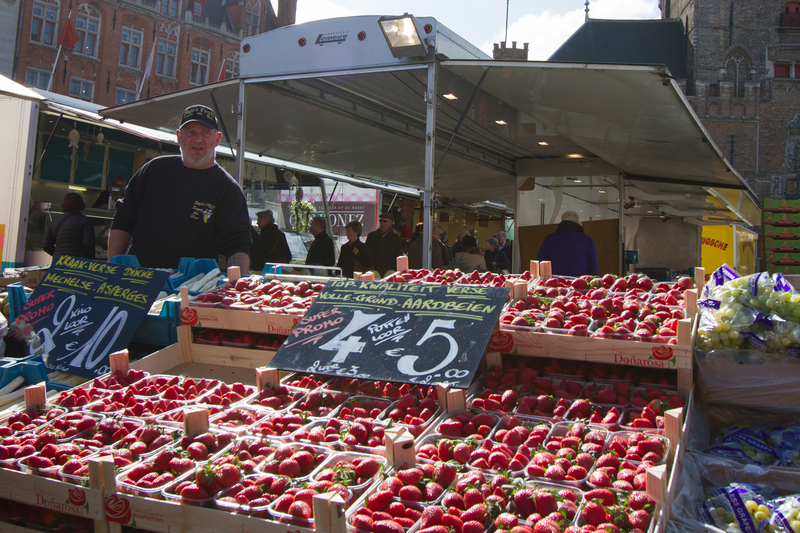 The next morning, we started our day visiting the churches, and we bought some strawberries for a morning snack at the city centre marketplace. No kidding; these fresh, huge, and sweet strawberries were sold for €5 for 4 trays! The Belfry is a place that you must visit in Bruges. Entry was €8 for youths under 26 years old. 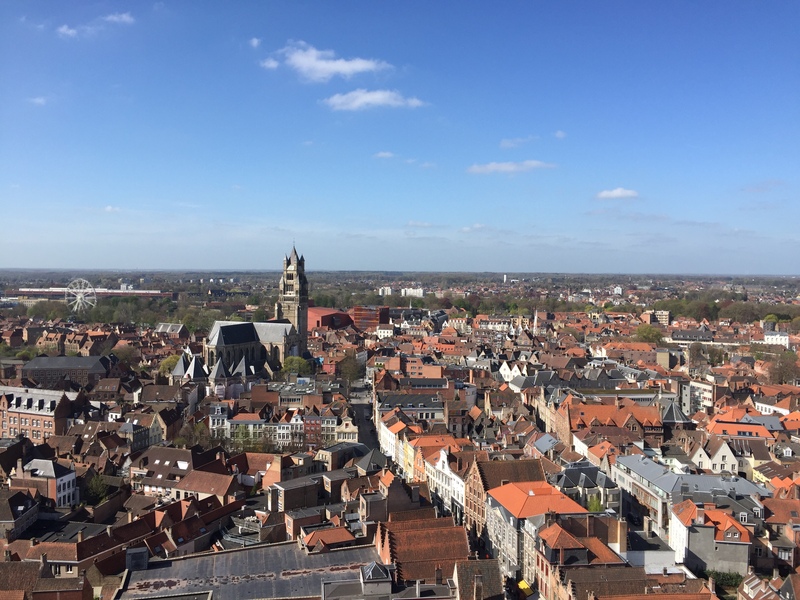 You get to climb up 366 steps, along very narrow and winding staircases, to the top of the Belfry, and get a good view of the city. When it is time, the bells at the top will play music for the town, and you better be ready to tolerate loud sounds if you happen to be at the top! Eating places close by 2pm here, for their lunch break, and you would not get much choices left if you are looking for food at that time! In addition, some cafes and restaurants, especially those recommended in travel guides, need prior reservations to get your seats. Do check before you visit these places to avoid disappointment! We were disappointed at many places. I bought some really good and creative chocolate from The Chocolate Line. You have to visit this place if you are a chocolate lover! Do you know that you can also find windmills in Bruges? 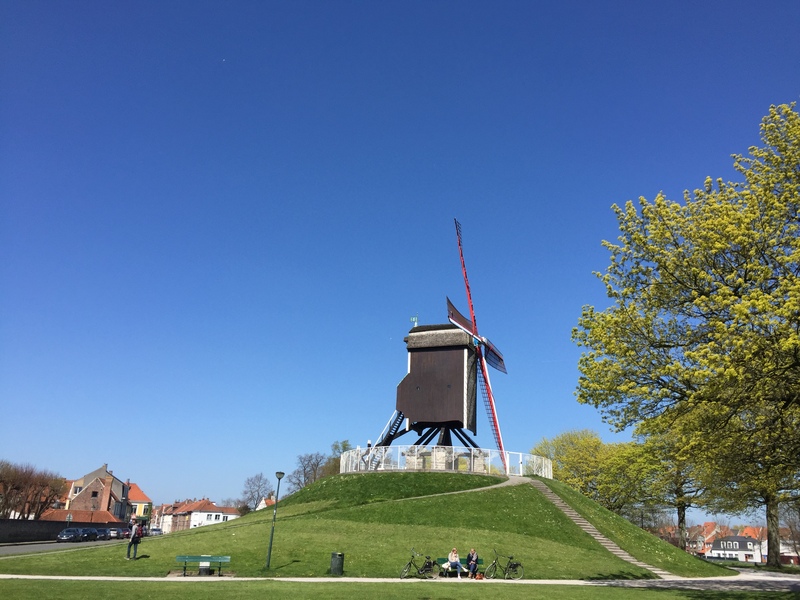 Travel to the outskirts of Bruges city centre to the Koeleweimolen! 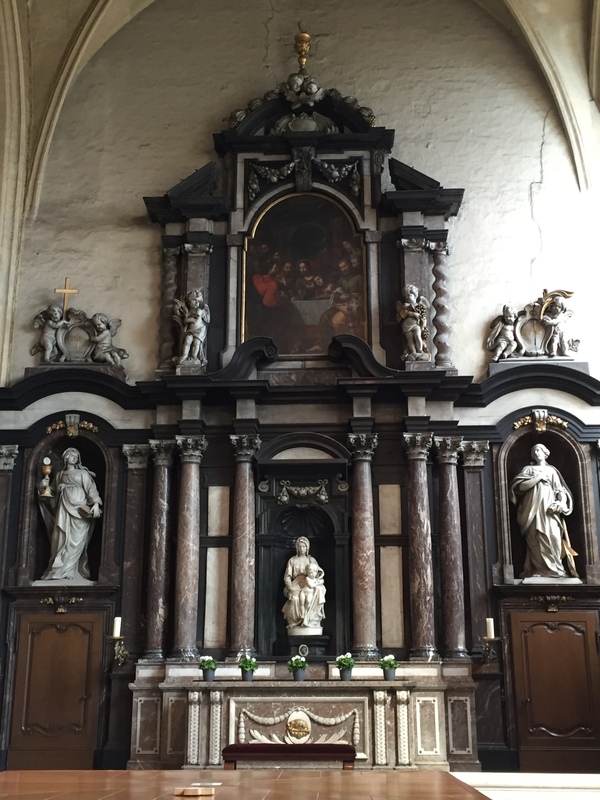 Bruges is also the home of the Church of our Lady that houses the “Madonna and Child” by Michaelangelo. Entry fee is €3 for youths, and you get to walk around the church and view the exhibits. The “Madonna and Child” was placed at a very far distance, protected by a bullet-proof glass in front of it. Do not be disappointed if you cannot get up close to inspect the artwork! “Madonna and Child”, the sculpture in the middle. 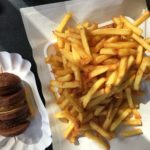 In addition to the above mentioned places of interest to visit, I’ve also wrote about the food places in my previous post – fries, waffles, and icecream! Do check it out. I would recommend for tourists to stay in Bruges for at least 2 days, to explore both the city centre and beyond. You could go for a day trip to the beach, located 15km to the West of the historical centre of Bruges. So that’s all I have for what to do in Brussels and Bruges! All in all, Brussels turned out to be better than expected, as my friends and I enjoyed each others’ company, had good coffee, walking through parks and hills, and doing nothing much in general. We were rewarded with good fries and waffles, and we visited the Atomium. 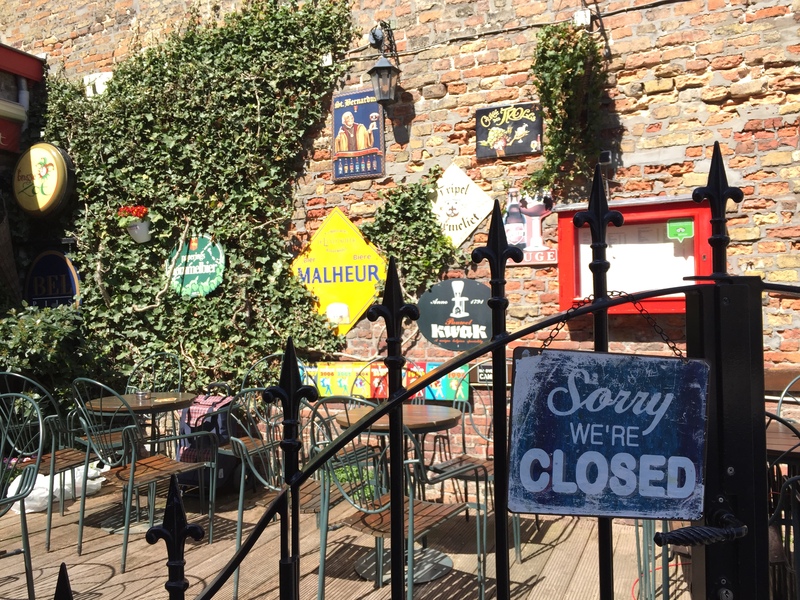 For Bruges, there is much to see and do, and we covered most of what we wanted to do as a group in a day. It would be great if we can travel further and out of the historical centre, but time does not allow us for that. Bruges gave us a very relaxed and scenic end to our Belgium trip. 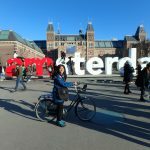 My next post will talk about my couchsurfing experience in Geel and Brussels, and why I would recommend couchsurfing for people who have not tried it before. Look out for it!